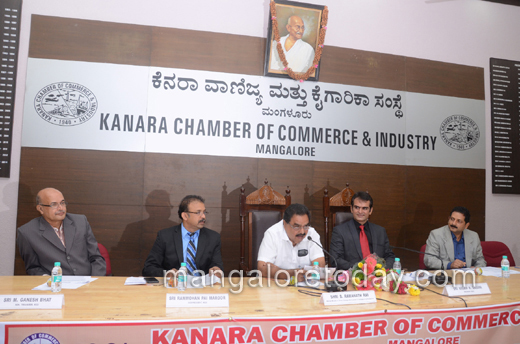 Mangaluru, Aug 25, 2015: Addressing media during an active meeting on development of Dakshina Kannada organised by the KCCI Kanara Chamber of Commerce, on August 24, Minister for Forest, Environment and Ecology and District incharge Minister B Ramanath Rai has claimed that no work has commenced pertaining to Yettinahole project at Western Ghat region. The minister said that the project is still in the stage of getting no objection certificate from the Forest Department. An interaction will be organised with the Minor Irrigation Minister M B Patil on the KCCI premises at the earliest. Many districts in North Karnataka are facing drought. Without party barriers, 50 to 60 legislators of the region have been demanding drinking water through the Yettinahole project. The problem should, therefore, be solved with a healthy discussion. The minister said that, following the Global Investors’ Meet at Bengaluru, Mangaluru would host an international employment meet for three days in November. The first round of meeting with the deputy commissioner has been held, and it has been decided to invite companies from the Middle East for the meet, he added. 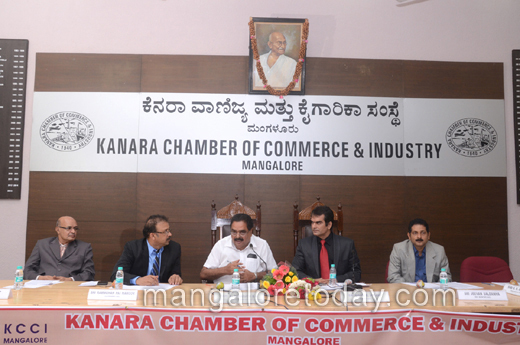 The KCCI, in its memorandum, demanded that the State government set up the maritime boards to promote coastal shipping and usage of the coastline in the coastal region of Karnataka. Rai said that the State Cabinet has passed the proposal already and the maritime board would become a reality soon. "Eight acres of land has been acquired at Benjanapadau for construction of a sports complex of international standards," he added. The minister said that he has already written a letter to the Central government to relax the CRZ rules and also promised considering the demand to set up a full-fledged tourism office in Mangaluru. "The City will get around Rs 500 crore-grant from the Central government under the Smart City project. It may not be enough for the overall development of the City as a Smart City. The government will discuss the matter with the KCCI and other stakeholders soon," he said. In the Mangaluru-Bengaluru stretch, the acquiring of land by the National Highway Authority of India is under progress and it will continue even for the Mangaluru-Moodbidri road. "To upgrade the Mangaluru Railway Station to a world-class railway station, there is need for land acquisition. The State government will urge the Central government for the work," he assured. With reference to the worsening of power situation, Rai said that the State government is motivating the generation of alternative energy like solar energy. The farmers can generate solar energy through deemed conversion of land, he added. The KCCI demanded restoration of the category of cashew industries from orange to green under the Karnataka Pollution Control Act. The minister, in response, promised to discuss the issue with the concerned officials and help the cashew industrialists. He also opined that the APMC concept does not suit the district and the people in Dakshina Kannada are not benefiting from it. 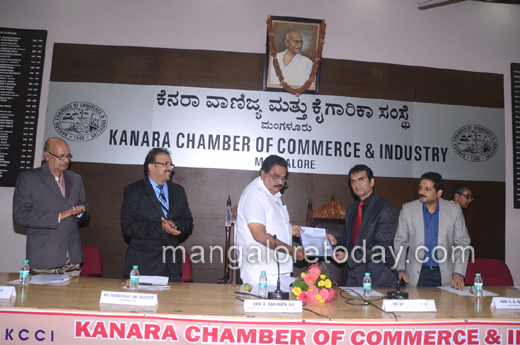 Rai promised to build a government medical and engineering college in Mangaluru. He also spoke about setting up a task force for the development of the district. For the request to allot land for a state-of-the-art exhibition centre to conduct international events, the minister gave a positive signal. 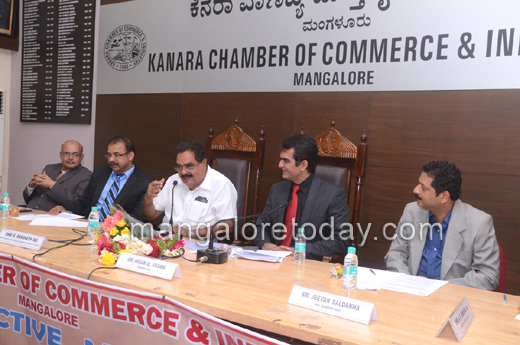 KCCI President Nigam B Vasani, Vice-president Rammohan Pai Maroor, Secretary Jeevan Saldanha and others were present on the occasion.